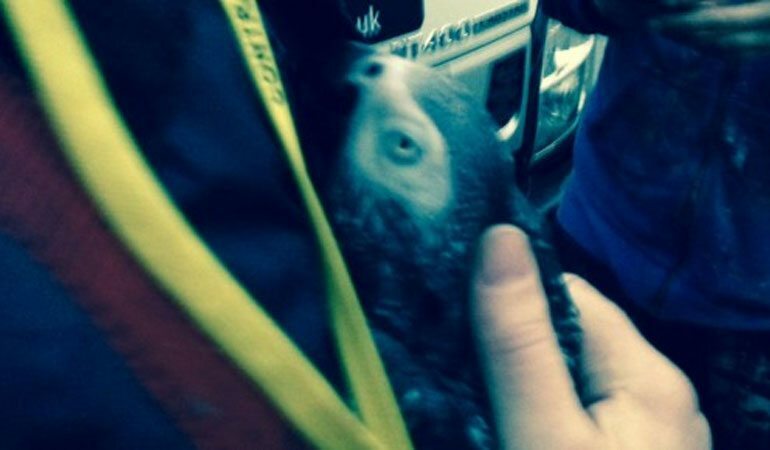 High Access turned their hand to pet rescue last week when we were asked to help catch an escaped parrot. We received an unusual request from one of our clients, The East Manchester Academy, when they asked us if we could help them catch a parrot named Jasper. We duly obliged and sent one of our teams to help out. Jasper had recently escaped from his home but luckily his owner, Frank, had managed to track him down over a mile away from his house. Jasper was spotted in a tree next to a birds nest and was apparently being attacked by other birds, presumably protecting the nest. During the rescue Jasper left the tree and flew to a nearby house, but luckily our team managed to get close enough to catch him and reunite him with his owner. It must also be mentioned that once Jasper had been caught, he repeatedly asked our operative ‘what’s your name?’ – his name is Neil Budgen, nicknamed BUDGIE, which we thought was quite fitting.